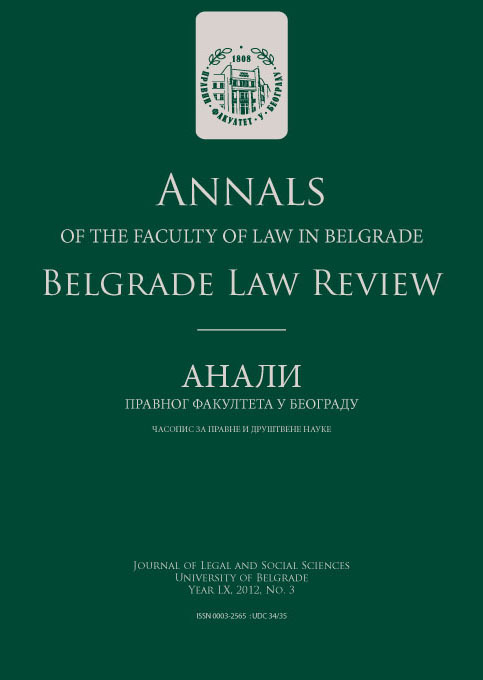 Excellent results of the students of the University of Belgrade Faculty of Law do not come anymore as a surprise either to our Faculty or to our colleagues from abroad. However, news about their successful performances are always received with the same pleasure, pride and emotion. The team of our Faculty, consisted of Marija Škundrić and Velimir Živković, won the third place at this year’s Foreign Direct Investment International Moot Competition. The competition took place from 22 to 24 October 2009 and it was hosted by Frankfurt International Arbitration Center. In addition, our student Marija Škundrić received the Thomas Waelde Advocacy Award for the Best Oralist. In other words, out of 90 oralists who competed for this prestigious prize, Marija was the best one. Thanks to her remarkable success, as well as the outstanding performance of her team-mate Velimir Živković, our Faculty finished the qualification rounds and entered the semi-finals as the team with the second highest number of points. Unfortunately, after long deliberations and by a split decision, the arbitrators in the semi-finals gave the advantage to the team from Pepperdine University School of Law (USA), which later won the final rounds as well and became the winner of 2009 FDI Moot. Our team at the 2009 FDI Moot was coached by Uglješa Grušić and Marko Jovanović, lecturers at the Faculty of Law. Professor Vladimir Pavić and lecturer Milena Đorđević took part as arbitrators grading the written submissions (memoranda) of the participating teams. This year’s Foreign Direct Investment International Moot Competition was organized by the GermanInstitution for Arbitration (DIS), Center for International Legal Studies and the Suffolk University School of Law. The FDI Moot involves a simulation of arbitration before International Center for Settlement of Investment Disputes (ICSID) and consists of two parts. In the first phase, the participants prepare and submit written memorials on behalf of claimant (a private investor) and respondents (a State that hosts the investment). In the second phase the students present their oral arguments before arbitral tribunals consisted of academics and practitioners who are expert in international investment law. Upon the completion of six qualification rounds, the four highest-ranked teams proceed to semi-finals. In this year’s qualification rounds our team met with the students from India (two teams), Poland (two teams), Germany (one team) and the UK (one team). The problem – in part inspired by the editors of the recent TDM Special Issue on IP – involved questions of nationality, investment definition, MFN, compulsory licensing and expropriation and the relationship between investment law and trade law (TRIPs). Apart from the excellent overall results, another proof of quality of our team was a great interest of public in attending hearings where our students appeared on one of the sides. Among those who carefully followed the arguments of our team was also the distinguished international arbitration law expert, Professor Martin Hunter, who was particularly impressed by the performance of the Belgrade team. At last but certainly not at least, the team members and their coaches owe a special gratitude to those who made it possible for our team to go to Frankfurt, meetwith the colleagues from other countries and display once again the high quality of legal education received at the University of Belgrade Faculty of Law. Our success wouldnot have been achieved without generous support of the Dean and the Vice-Deans of the Faculty, Professor Gašo Knežević, Dr. Miroslav Paunović Law Firm, Municipality of Voždovac and the Ministry of Science and Technological Development of the Republic of Serbia.